Thanks to a tip from Michael Frye, Yosemite's resident photographer extraordinaire, I decided to head to Yosemite in early June to witness the historically large waterfalls and the melting snow in the high country. For three days I visited many of the popular sites in the valley and trekked through the snow and melting ice in the high country that had just opened for travel. This was my first trip since a brief but special trip in a heavy snowstorm many years ago. I came back this time with a few images from the classic vistas that have since the time of Ansel Adams made this park so famous. But I also returned with some more unique images that have me looking forward to my next trip to this hallowed park. 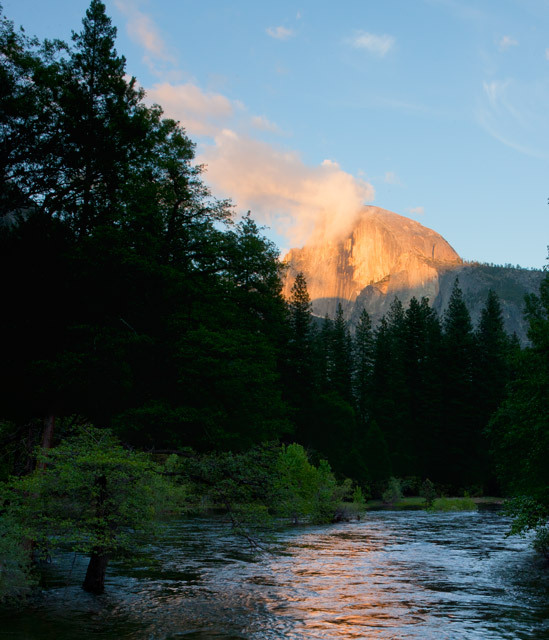 Half Dome and the Merced River glow for a few minutes in twilight's last glow. Photo © copyright by Ed Fuhr. 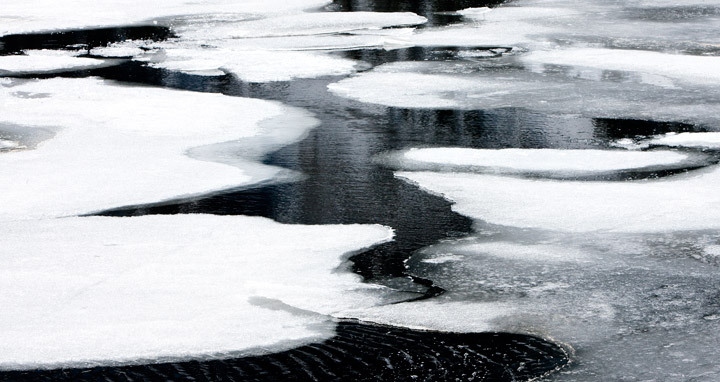 This June the ice melts slowly in the Yosemite High Country. Photo © copyright by Ed Fuhr. In early June the ice that has covered Tenaya Lake for more than half a year melts into thousands of floes creating for a few days a kaleidoscope of colors and forms. Photo © copyright by Ed Fuhr. 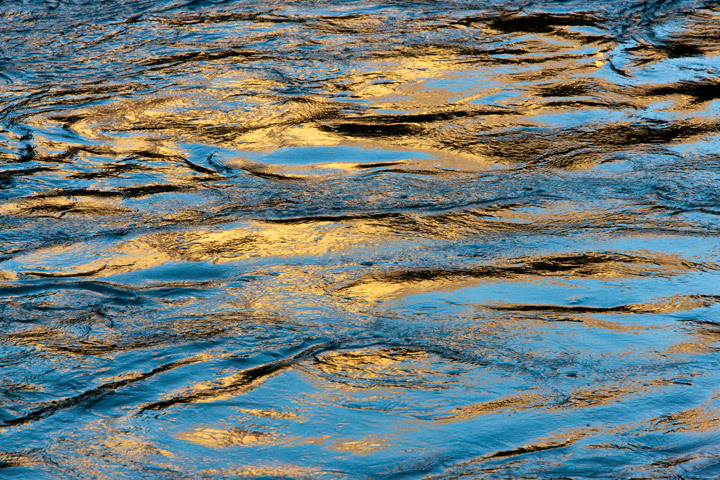 Half Dome Reflects in the Merced River. Photo © copyright by Ed Fuhr. 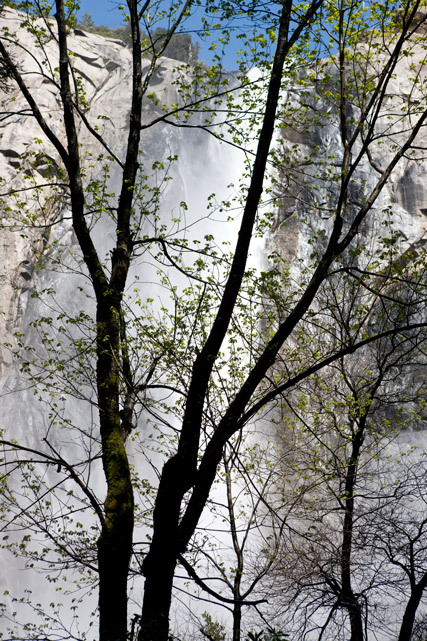 Bridalveil Falls roars with the winter melt, soaking anyone who approaches. Photo © copyright by Ed Fuhr. 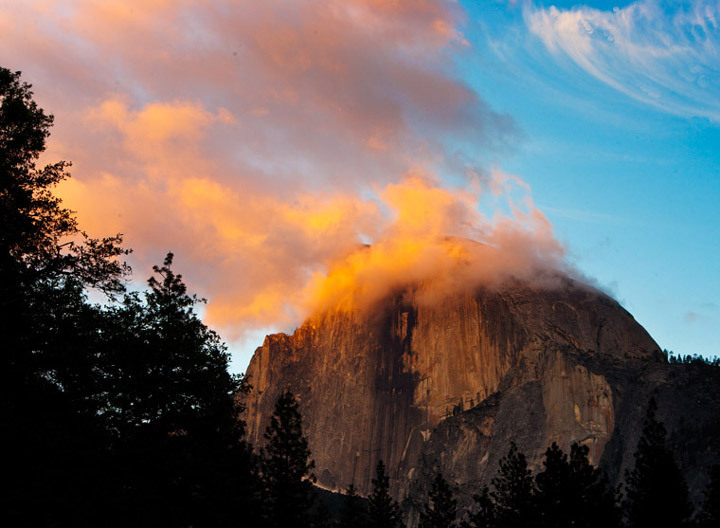 A cloud wisp lifts slowly over Half Dome in the fading sun. Photo © copyright by Ed Fuhr. 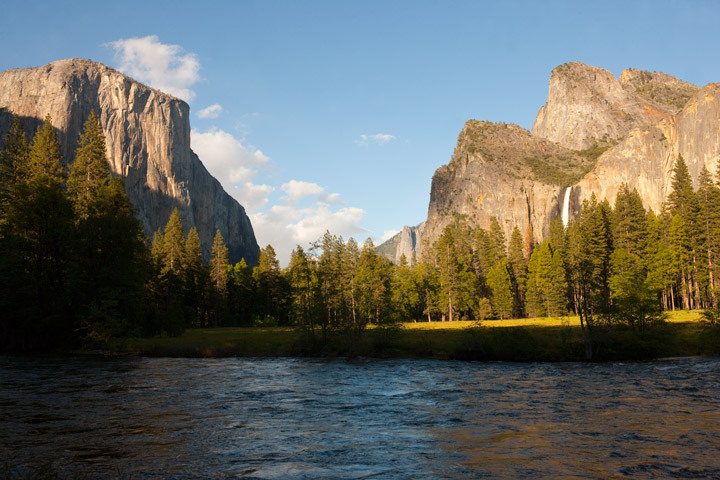 From the banks of the Merced River, El Capitan and Bridalveil Falls capture the late afternoon sun. Photo © copyright by Ed Fuhr. 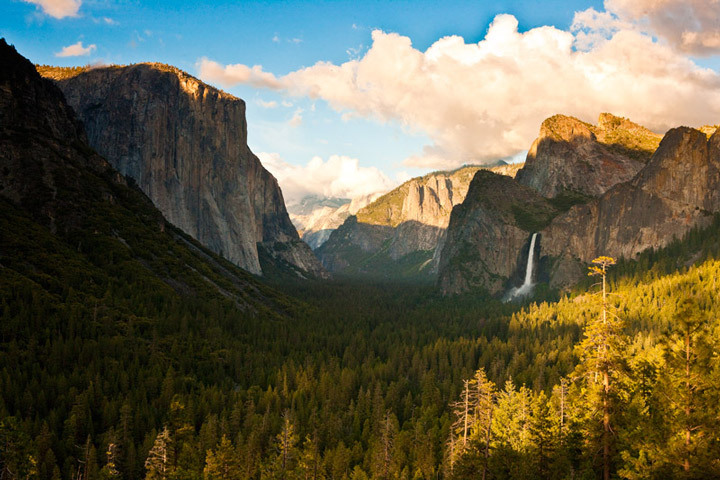 This classic vista greets the visitor entering Yosemite. Photo © copyright by Ed Fuhr.